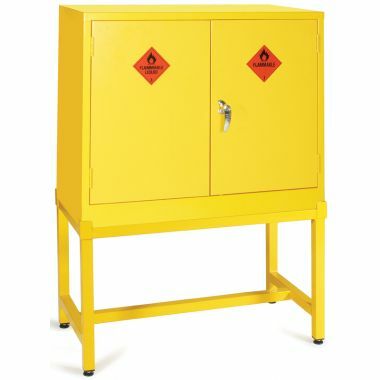 Hazardous substance cabinets are used throughout industries that handle chemical substances and provide a secure storage point when these substances are not in use, protecting workforces from unnecessary exposure. 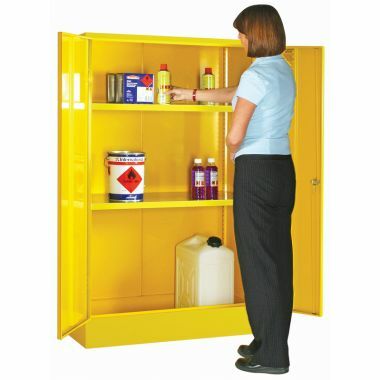 Supertuff Europe offer a complete range of chemical storage cabinets that are available in a variety of sizes, from small single door lockers to the larger double door variants. 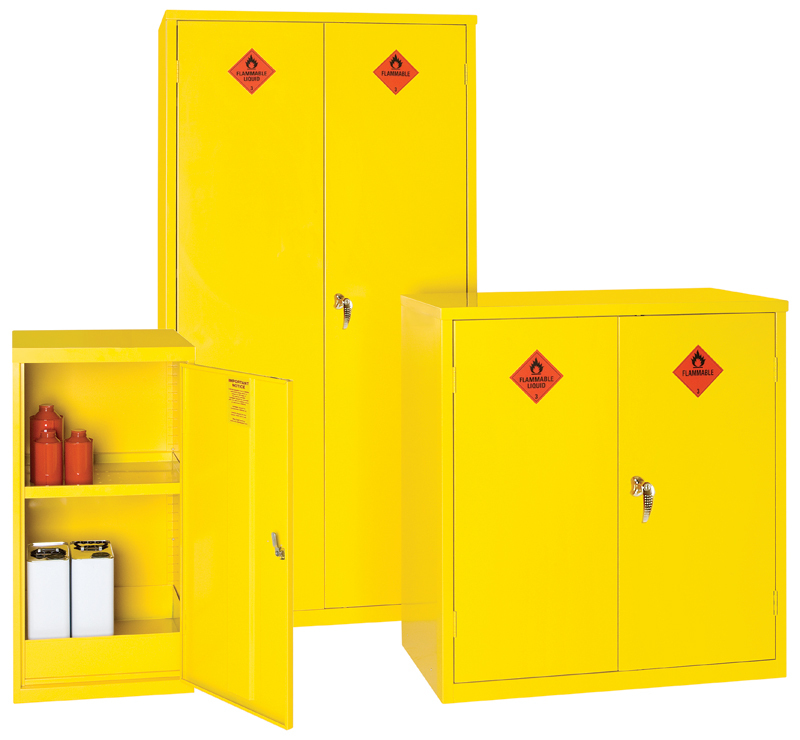 The hazard cabinets are manufactured in the UK using high quality steel that are then given a powder coating for a longer lasting and more hygienic finish. 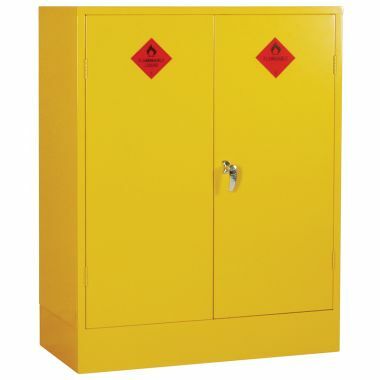 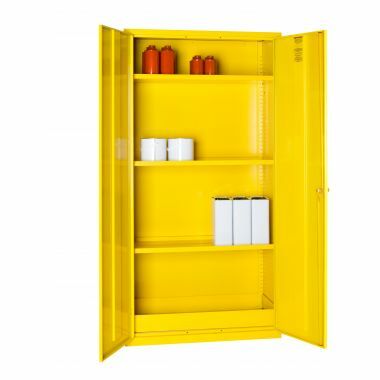 The highly visible yellow colour and hazard stickers alert users to the risks associated with the stored chemicals. 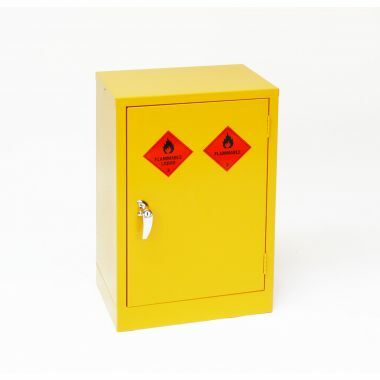 The integrated sumps in the bases protect workers and the surrounding environment from chemicals by containing leaks or spillages that may occur. 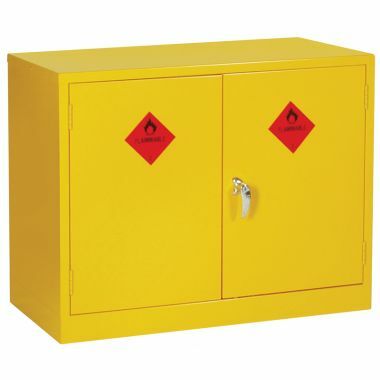 Contents are secure and will be protected from unauthorised access. 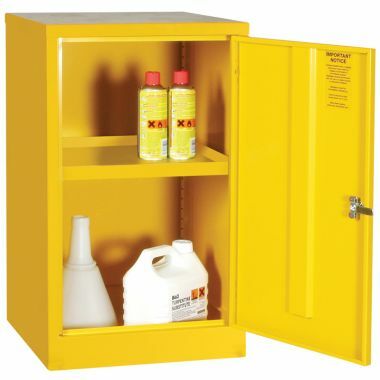 The Supertuff hazard cabinets can all be secured using a key and the double door variants utilise a three point locking mechanism.